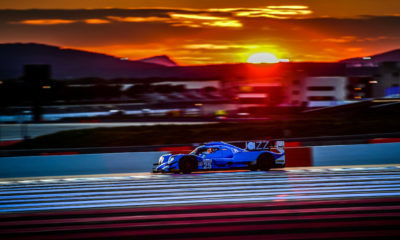 JMW Motorsport has confirmed its plans for the European Le Mans Series, with the British squad partnering with Ferrari of Vancouver for its 11th season in the championship. The Jim McWhirter-led operation will field a single Ferrari 488 GTE with a new driver lineup of Jeff Segal, Wei Lu and Matteo Cressoni. Segal, a two-time Grand-Am GT champion and Le Mans, Sebring and Rolex 24 class winner, is set to make his first appearance in the ELMS along with Lu, who was his co-driver in last year’s Blancpain GT World Challenge America SprintX standings. Segal was also a part of JMW’s 24 Hours of Le Mans lineup last year when the team joined forces with WeatherTech to fill out a GTE-Am entry. Canadian driver Lu is set for his first experience of GTE machinery having spent last year focusing on GT3 following a successful spell in Ferrari Challenge North America. Italy’s Cressoni, meanwhile, returns for his first season in the ELMS since 2015, when he drove an AF Corse-entered Ferrari 458 Italia GTE. JMW finished second in last year’s championship with Alex MacDowall, Liam Griffin and Miguel Molina, while it clinched the GTE title in 2017. “We are really looking forward to the 2019 ELMS championship with a renewed vigor after missing out in 2018,” said team principal McWhirter.